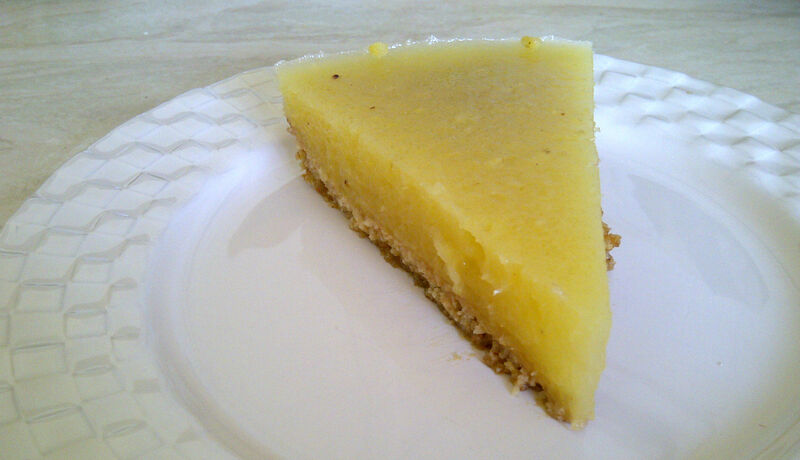 This tart promised so much, but delivered so little. It looked so glorious, prominent and bright on the serving plate, I gasped in horror as I cut in, and tasted with such excitement to find it tasted of nothing. Nothing. And it had an appearance and mouthfeel that I can only describe as a resemblance of frogspawn. Was it me? The recipe? Or the pineapple? I don’t know. But this beautiful looking tart was destined for the bin 😦 . Where did it go wrong? The crust tasted nice but it was soggy. It was a mixture of ground almonds, biscuit crumbs, sugar and melted margarine. It was baked for 8 minutes at 200c, maybe it needed longer? As for the filling, it just tasted watery and very bland. 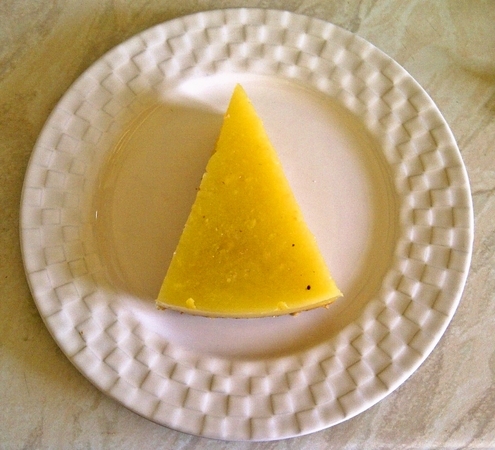 It was a kind of curd made with a whole fresh pineapple, sugar, cornflour, lemon zest, cinnamon, agar agar and water. I can’t see how all those punchy flavours ended up so tasteless? Maybe too much water? Maybe I should try using pineapple juice as the liquid instead of plain water? Is it possible that my pineapple just wasn’t very flavoursome? 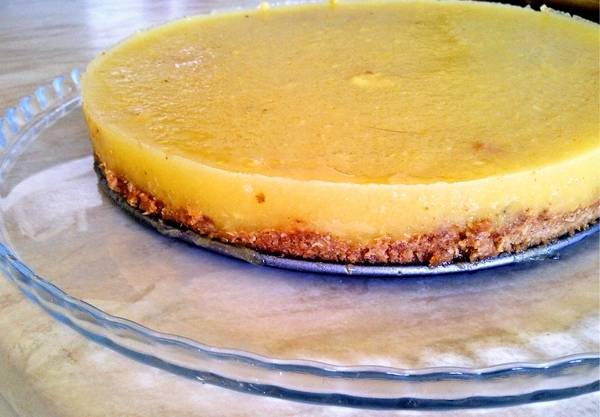 This entry was posted in Desserts, Egg-free, Fruit, Tarts and Pies, vegan and tagged agar, baking, pineapple, recipe. Bookmark the permalink.